The legal age to bartend in Virginia and Washington, DC is 21. The legal age to bartend in Maryland varies between counties. Some are 18, some are 21. Most importantly even at 18, 19, and 20 can you land bartending jobs in Maryland? We have experience in that area as we help 10’s of thousands of graduates land bartending jobs. Regardless of age and where you live one of the best features of our program is how we help people of all ages and locations land bartending jobs and the specific advice and guidelines we give them to help them get there. Here is some hard information. In Virginia and Washington DC the minimum age to bartend is 21. The rules are specific. There is no ambiguity. Maryland is one of the very few states in the country that has mixed rules by local jurisdiction. Through most of the state one can bartend at age 18, but in some local jurisdictions you have to be 21. Even within some counties the rules are different with regard to type of establishment. For instance, while in most of the state you can bartend at age 18, throughout Baltimore County one has to be 21 or older to bartend. Howard County also presents different rules. One can bartend in restaurants at age 18 and above. In Howard County in class D taverns though, a bartender needs to be 21 or older. In Southern Maryland in Charles and St. Mary’s counties bartenders need to be 21. Closer and adjacent to Washington DC in both Montgomery and Prince Georges County it is legal to bartend at 18 and above. Frederick and Washington Counties are similar: It is legal to bartend at 18 and above. For instance, you can bartend in Bethesda, Rockville or Silver Spring at 18 and above. You can bartend at 18 and above in College Park, Laurel, Bowie, and throughout Prince Georges County. 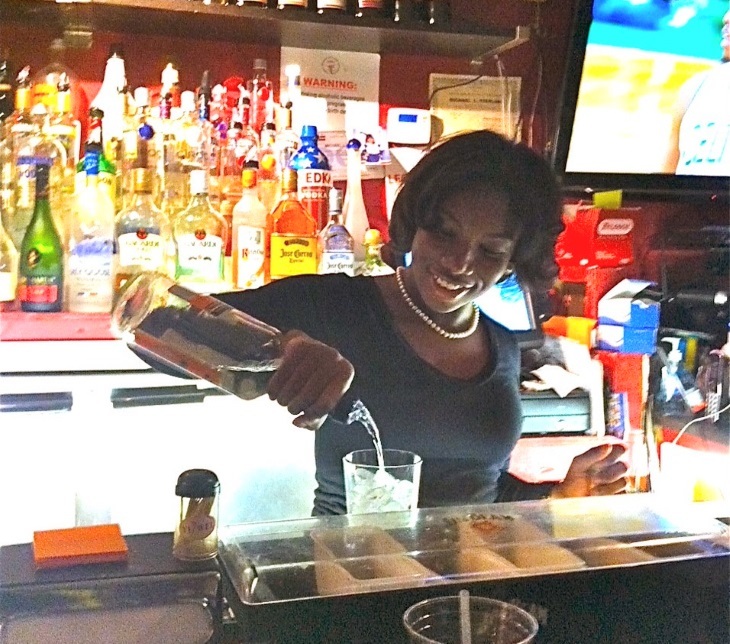 Students use our training to get the skills needed to land bartending work. Our placement office helps them find jobs. Grads turn the skills they learned at PBS into real jobs! Our bartending school includes a full time job placement director. We direct contact thousands of bars, clubs, restaurants, hotels, country clubs, caterers and other bartender employers throughout the DMV and specifically within reach of the greater Washington DC metropolitan region. We have placed thousands of grads in bartending jobs and can provide leads and excellent advice and assistance in landing bartending jobs throughout the region and regardless of age. Contact us or visit the school to learn more how we can assist you.